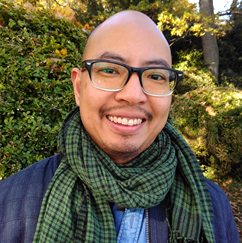 Zhan Chiam (he/him) is ILGA’s Gender Identity and Gender Expression Programme Coordinator, where he works to strengthen trans movements and organisations through advocacy support, movement building, research, and long-term collaborations such as reform of the International Classification of Diseases. Zhan grew up in Singapore and moved to Australia when he was 19. He has a background in queer grassroots activism and politics in both countries. At university, he majored in comparative religious studies and gender studies, and then qualified as a lawyer in order to work in human rights. Zhan has worked in Australia, Thailand, the United Kingdom, Pakistan, and Switzerland in legal, policy and advocacy roles, mainly in refugee law.